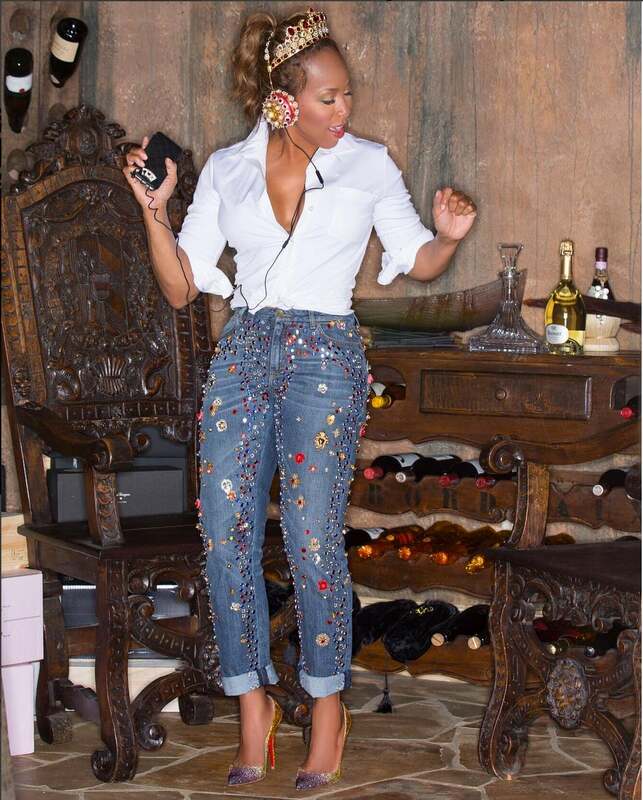 Narrowing down Marjorie Harvey's most outstanding fashion moments is almost an impossible task. She's managed to stun time after time in some of the most exquisite ensembles we've ever laid eyes on. But in honor of this leading lady's birthday (October 10), we've rounded up 15 of her fiercest fashion moments that knocked us off our feet. We're still in awe of this super glam moment Marjorie gave us in a gorgeous red Zac Posen gown. Seriously? Horseback riding in all black lace? Epic. We're not sure if it's the fur, those boots or the helicopter in the background but this look is everything. Jeans and a button down shirt never looked so good! Beyonce would definitely approve of this lemonade moment by Dolce & Gabbana. This is how you do New York Fashion Week. Can we just all look like this while making our way around a wine cellar? Do you see that skirt?! Carnival fun in a stunning lace and floral frock. What else is there to say but, come through Marjorie! This caged skirt and top are definitely statement makers. Between the scenery, this dress and those killer hot pink pumps we don't know what steals the show. Marjorie better work in this killer fur vest! We're getting all of the Bahama Mama vibes in this super cute floral set. This list wouldn't be complete without a nod to Marjorie and her daughter Lori's penchant for killing the game as a unit. Love!